In a previous article, “What is Drop Shipping," we explored, you guessed it, drop shipping. If you haven’t checked it out already, it is definitely worth the read, especially as we begin to talk about blind shipping. In case you are crunched for time, drop shipping is an order fulfillment method in which a company, enlisting a third-party vendor, sells something that they didn't actually manufactu.. In a previous article, “What is Drop Shipping," we explored, you guessed it, drop shipping. If you haven’t checked it out already, it is definitely worth the read, especially as we begin to talk about blind shipping. In case you are crunched for time, drop shipping is an order fulfillment method in which a company, enlisting a third-party vendor, sells something that they didn't actually manufacturer nor keep in stock. Now imagine you are the customer, and a package shows up at your door from a company you’ve never heard of, with goods you ordered from a totally different company. After getting over your initial confusion and realizing you are now armed with the vendor’s information, you buy direct in an effort to save money. If you’re the savvy shopper, this is great. If you’re the seller, not so much. The seller is now cut out of all future business, and therein lies the problem. I recognize the dilemma. What’s the solution? Blind shipping is the vendor’s role in the drop shipping process. You might also hear it referred to as a blind dropship. In an effort to conceal that the product was shipped from a third-party vendor and not from the seller, the third party’s information is removed from the shipping label and any documents that will accompany the shipment and replaced by the seller’s information. The customer is then “blind” to who actually fulfilled their order. 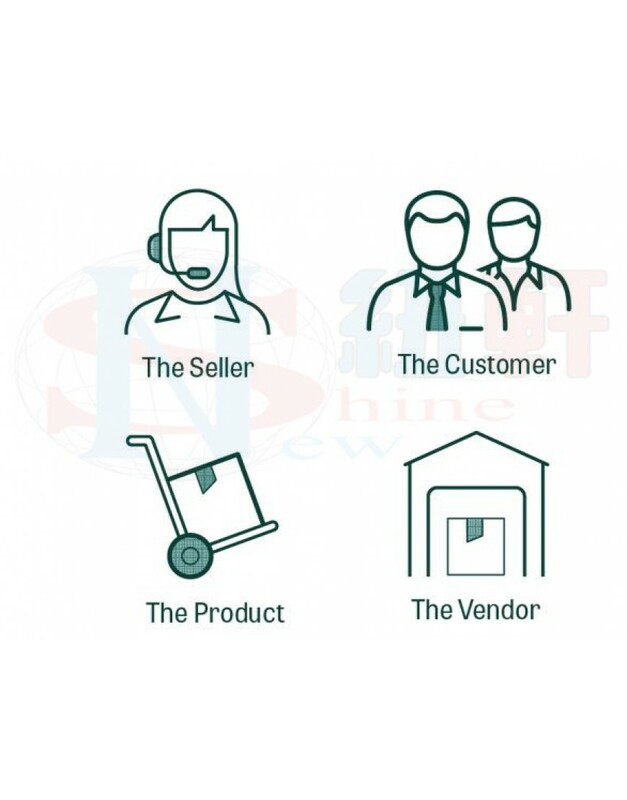 While blind shipping can stop the customer from contacting the vendor to buy direct, it does not prevent the vendor from contacting the customer, based on the shipping information given to them by the seller. Enter double blind shipping. What is double blind shipping? To eliminate any information being shared about the customer to the vendor and vice versa, the seller coordinates the shipment directly with the carrier, or through a freight broker. In most cases, a pickup is arranged at the supplier’s warehouse and shipped out without the vendor ever knowing where it is headed. Sound confusing? Well, it is. Because of this complexity, double blind shipping can be expensive, and is normally only utilized by businesses coordinating dropship orders at a LTL carrier or parcel carrier quantity level. Depending on the level of service, the carrier may assess a fee on each blind shipment. Additional accessorials, such as re-labeling, will be assessed to the consignee or paying party. looking forwad to your ideas . Our SEO service included in the following :On-page SEO1.Site Responsiveness to Make SEO Friend..